Workers are at risk of severe injury and death during machine Maintenance and Servicing if proper Lockout and Tagout procedures are not followed. 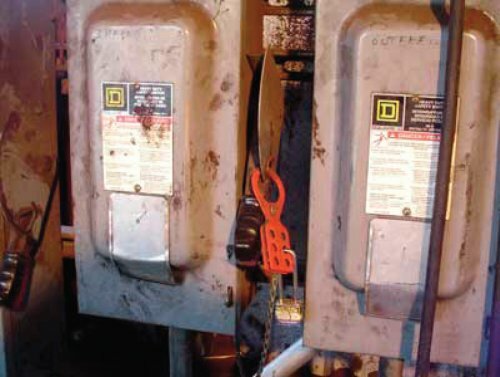 NIOSH recommends developing and implementing a hazardous Energy Control Program including lockout and tagout procedures and worker training to prevent such incidents. Machine-related injuries or fatalities can occur during Maintenance and Servicing tasks when workers are exposed to an uncontrolled release of energy or during unexpected equipment startup. During 1982-2006, NIOSH investigated 185 fatalities related to installation, maintenance, service, or repair tasks on or near machines, equipment, processes, or systems. Investigations were carried out in 20 States as part of the Fatality Assessment and Control Evaluation (FACE) Program. Failure to completely de-energize, block, and/or dissipate the Energy Source was a factor in 142 (77%) of the incidents; failure to Lockout and Tagout energy control devices and isolation points after de-energization was a factor in 31 (17%). If machines start up during maintenance, repair, adjusting, or servicing, workers can be caught in the machinery and suffer fractures, crushing injuries, amputations, or death [NIOSH 1999, 2006]. Incidents related to Lockout/Tagout procedures were the most cited violation in manufacturing by the Occupational Safety and Health Administration (OSHA) during 2006-2007 [Jarrell and Washam 2009]. One study analyzed OSHA accident investigation reports from 1984-1997 and found that in more than half of the 348 investigated cases, Lockout procedures were "not even attempted" [Bulzacchelli et al. 2008]. These figures reinforce the necessity of having a written hazardous Energy Control Program and ensuring that employees understand and follow the procedures. The teeth on the debarker feed rolls had become worn, and the worker had been assigned to weld additional metal to build up the feed roll teeth. He had not conducted this type of repair before. To safely de-energize this machine, six electrical sources and one pneumatic Energy Source needed to be disconnected and locked out, and the pressure in the air line that automatically controls the up and down motion of the feed rolls needed to be bled off. The victim disconnected and locked out two of the electrical sources (See Figure 1), but he did not disconnect and lock out the other four electrical sources or the pneumatic energy source, and he did not bleed off the pressure in the air lines. In this condition, the machine's automatic control system remained Energized. As the victim welded metal to the feed roll teeth, he leaned forward and placed his head between the feed rolls to reach areas that required more metal. The feed rolls automatically cycled, and closed over his head. His supervisor had left to check on another machine and when he returned, he found the millwright caught in the machine. Emergency medical services personnel arrived 20 minutes after receiving the 911 call and attempted cardiopulmonary resuscitation, but the millwright had died. The photo above illustrates the south debarker room where locks had been placed on two electrical circuits by the victim [Photo courtesy of SCOSHA]. NIOSH recommends that employers comply with the OSHA regulations outlined in 29 CFR 1910.147, the control of Hazardous Energy (Lockout/Tagout). Results of NIOSH fatality investigations indicate that the following steps are particularly important. Develop and implement a written hazardous energy control program, including lockout/tagout procedures, employee training, and inspections before any maintenance or service work is done [NIOSH 1999]. Be sure that workers have a clear understanding of when hazardous energy control procedures apply and training on how to properly apply the procedures. Ensure that procedures on lockout/tagout are developed that are specific to each machine [NIOSH 2006; Michalscheck 2008]. Provide training to production workers in addition to maintenance workers in methods of energy isolation and control [see 29 CFR 1910.147(b)]. To effectively isolate each energy source, ensure that workers are provided with a sufficient number of lockouts and tagouts and other hardware that may be needed [See 29 CFR 1910.147(c)(5)(i)]. Clearly label isolation devices, such as breaker panels and control valves [NIOSH 1999]. After removing the lockout or tagout devices but before starting the machine, be sure that all employees who operate or work with the machine, as well as those in the area where service or maintenance is performed, know that the devices have been removed and that the machine is capable of being re-energized [OSHA 2002; 29 CFR Part 1910.147 (e)(3)]. Ensure that no one under the age of 18 works on machinery declared hazardous in the Child Labor Rules [29 CFR 570.120]. Ensure that workers receive training in their primary language. 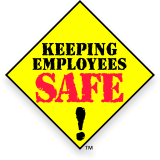 Follow the regulations contained in your employer's hazardous Energy Control Program. Complete all employer-provided training on hazardous energy control procedures. Disconnect or shut down engines or motors. Block fluid (gas or liquid) flow in hydraulic or pneumatic systems. Block machine parts against motion. Lockout and tagout all forms of hazardous energy, including electrical breaker panels and control valves. Release or block springs that are under compression or tension. Vent fluids from pressure vessels, tanks, or accumulators, but never vent toxic, flammable, or explosive substances directly into the atmosphere. Make sure that only one key exists for each of your assigned locks and that only you hold that key. Verify by test and/or observation that all energy sources are de-energized. Inspect repair work before removing your lock and activating the equipment. Make sure that only you remove your assigned lock. Make sure that you and your coworkers are clear of danger points before re-energizing the system (see 29 CFR 1910.147(e) and 29 CFR 1910.117(f). Consider designing equipment that requires fewer and more easily accessible disconnect points to facilitate the use of safe Lockout/Tagout procedures for Maintenance and repair [NIOSH 2006].